The photos below were sent to us by Alan Cox, whose mother Joy, worked at Glanfields in the 1940s. 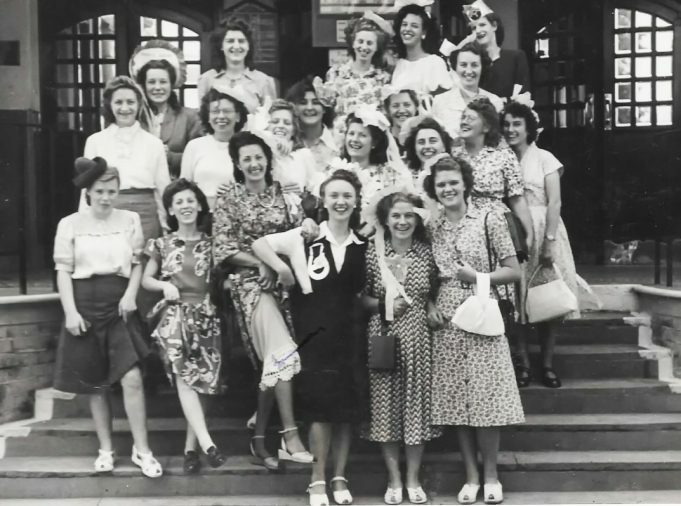 The first photo shows Joy, (second row, showing her petticoat) and her work mates getting ready for a day trip. 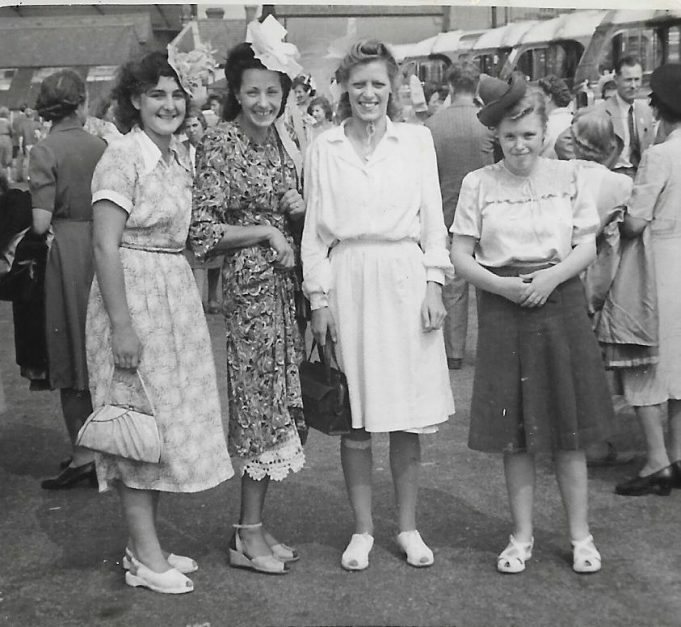 Alan can’t be sure about the date but he thinks it’s possibly around 1944 and it could be that the ladies are off to Clacton. Joy’s maiden name was Cooper when she married in 1946. At this time she lived in The Haven, Station Lane, (now Sandon Road) Vange, with her mother Lillian Cooper, formerly Blake and her step dad Alfred Cooper. She later moved to Vange Heights in a railway carriage called Morning Dawn, around 1948. A life long friend of Joy’s was called Tilly Cruze who came from Bowers Gifford. Tilly and Joy used to travel to Benfleet Primary School on Campbells coaches. Stella Sutherland (nee Bouchereau) has identified one of the other girls in this picture as Gertrude Brown (middle row, second from left), she was the daughter of Stella’s neighbour. She was an avid supporter of Rayleigh Rockets, and would go there every Saturday with a big rattle and a long scarf.